The payment of a tax shall not be a qualification for exercising the right of suffrage. 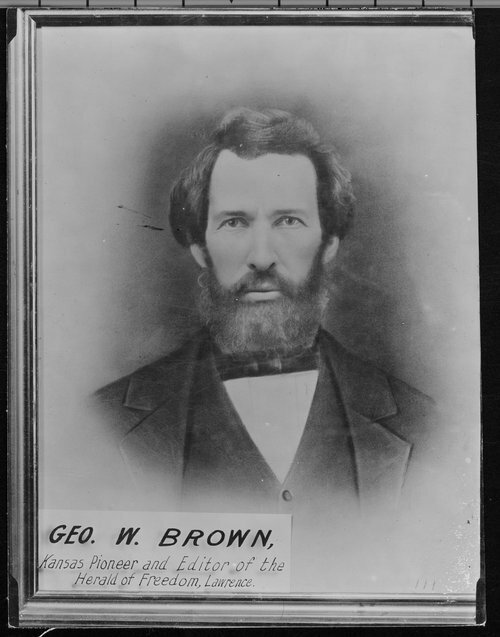 The proslavery legislature of Kansas had gone just the opposite way, requiring payment of a tax to vote. Going the other way on an issue like this cast the free state men as friends of the common white man, who might find the poll tax onerous as well as offensive, and delivered a rebuke to the bogus legislature. Despite the convention’s insistence on white male, and only white male, suffrage, they found it in themselves to make provisions for a kind of honorary white man by allowing “every civilized male Indian who has adopted the habits of the white man” the vote. If one acted sufficiently white, then one could gain the privileges. This reminds us that while the whites of Kansas generally restricted political to themselves, they still lived on land that had rightly belonged to the Native Americans all of a year earlier. Some of it, in the form of various reservations, still did. There some had adopted white styles of agriculture and tried to do their best to get by in the world that white Americans made. If the promise of full integration existed more in theory than fact, invited white meddling in one’s life, and always came with hard limits, then some judged that it still beat the grinding cycle of of deprivation and removal with which white Americans marched across the continent. A white America that saw them as a mix of dangerous animals and frustrating impediments to progress offered Indians few choices. Kansas’ earlier inhabitants, some of whom had seen two or more past removals in their lives, certainly did not have to conform to the habits of whites to the point of depriving said whites of their lands. Nineteenth century Americans might believe in assimilating and so “taming” the people who occupied their land before they arrived, but they had their limits. One supposes they might look more kindly on a “civilized” Indian who chose to afflict Indians, but in all things the white man must ultimately come out on top. That, above all else, constituted progress. We look at the past with hindsight goggles. We know how things played out, so often historical figures can look like reckless fools that set themselves up for calamity after calamity and then refuse to change course. Didn’t Douglas know what F Street forced him into when it made him change his bill to suit Phillip Phillips and Archibald Dixon? Didn’t Phillips and Dixon know that they demanded measures that would help ruin the institution they meant to protect? Couldn’t they see disaster coming? In the strictest sense, they could not. Nobody had a crystal ball. Could they have foreseen how repealing the Missouri Compromise would go over in the North? Perhaps, but it’s only with our hindsight goggles that we know so surely that the dispute over slavery animated passions like no other. People at the time could genuinely believe they provoked a brief, transient firestorm. If it helped the South save face, and helped southern Democrats keep their seats, why not concede a Kansas over to a phantom slavery that would never really develop? If saving a few southern Democratic seats against the threat of resurgent Whigs, however distant, cost a few northern Democratic seats then so be it. In the Democracy, the southern caucus had long held the lion’s share of the power. With the party’s strong hold over the South, it need not command equal favor in the North to maintain its accustomed control of the nation. But what if the naysayers had it entirely wrong? The potential of Kansas–Nebraska to swing the southwest to slavery obviously appealed to Southern men, but opening the great plains to white settlement appealed greatly to land-hungry whites. They might not desperately need it, as Bell and Houston noted, but more land to settle meant a bigger, broader future. If the advance of white settlement also meant a few tokens to slavery, that need not bother some Northern men. Most cared little about the institution in itself and less about the plight of those suffering under it. In the westernmost line of states and territories, on the banks of the Mississippi, land meant a great deal. Westerners moved out to get land and many of them could see a future for their sons and daughters one more state over. Westward expansion had the potential to become a Western issue and the core of a new Western identity, indifferent to slavery but very keen on settling the frontier. Thomas Hart Benton, though he opposed the bill when it came to the House, had long thought that his Missouri had a more western character than southern. William Seward argued a few years before that the nation had not two sections, but three: North, South, and West. Real cultural and economic divides separated the frontier West from the settled East. The West had a rough, homespun character against the East’s settled gentility. Only recently had rail linked it to the great cities of the East. Before that, the West sold its crops down the Mississippi through New Orleans. Furthermore, much of the border Northwest had Southern people to go with its Southern geography. They almost made Illinois a slave state. In Indiana they elected a senator, Jesse D. Bright, who owned slaves in Kentucky and proved so studiously loyal to the Southern cause that the Senate expelled him in 1862. 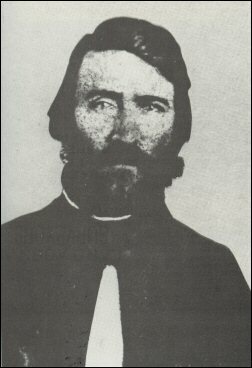 Men like him demonstrated that the Northwest had friends to slavery. An emerging western identity could dilute any opposition to proslavery politics, with the draw of white expansion distracting from any qualms about slavery expansion. That new identity required people and states where those people could elect politicians to Congress, but here Kansas-Nebraska served admirably by throwing open the whole of the public domain. Furthermore, new western states would sprout farther from Chicago’s railroads, which had drawn Northwestern commerce eastward, and back down the Mississippi by way of the Missouri. The new West would so naturally share economic interests with the South, even if it lacked slavery. If it cared little about slavery, that difference would consequently matter little. An alliance between new wheat and corn states west and north of Missouri and Iowa and the Cotton Kingdom could bring back the old days, with slavery’s security in the Union taking it out of the political limelight. The abolitionists couldn’t threaten it and the slaveholders would see that. Passions would cool and the nation could go back to living as thought the Mexican War never reopened the issue. This one Union-threatening, radical strike for slavery could paradoxically save the Union. It would surely revitalize the Democratic party by giving it eager supporters in the Northwest. Already the Democracy had high hopes for Iowa and Minnesota. Throw in Kansas and Nebraska and it would turn the Whigs into a tiny sectional party in the Northeast. Those extra seats could even dilute the proslavery bloc’s power to the point where it could no longer be forced into radicalism by renegade members, further safeguarding the Union by making proslavery men the happy victims of their own success. 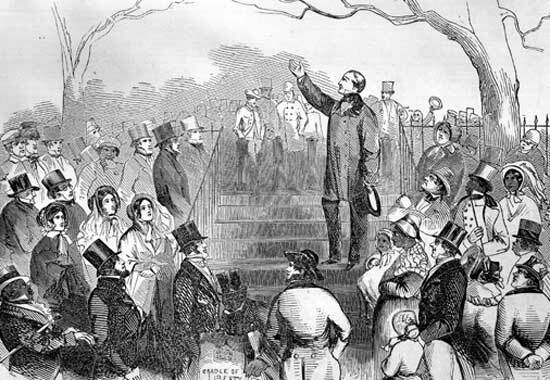 When the act for the abolition of slavery in the colonies was carried in the British Parliament in 1833, and the question of indemnity to the slaveholder came up, there was scarcely a dissenting voice raised against the propriety and justice of the proposition; and twenty millions of pounds sterling -one hundred millions of dollars- were promptly voted for that purpose. Whatever moral guilt, said the great leaders of the abolition movement, might attach to the slaveholder, the greatest share of the guilt and responsibility rested with the Government which encouraged and established slavery in the colonies. You could not get a Salmon Chase or a William Garrison to sign on for compensated emancipation. Bell made the reasonable point that the United States allowed slavery and so had some responsibility for it. If those abolitionists hated it so much, why did they not get behind having Washington buy up the slaves and free them? They didn’t deserve to share a label with the British antislavery men. Of course Bell had to overlook some convenient facts there. If the state bought up the slaves, it had to compel the owners to sell. What southern senator would vote for that? Even the ones who liked the idea of ridding themselves of slaves wanted to do so by colonization. Send them back to Africa and let America become lily-white. From the beginning of the colonization movement on down to Lincoln himself, they had the problem that most black people who could make the decision to go on their own did not want to go and those who could be forced to leave, the slaves, had owners who did not want to just throw away their investment. In fact, colonization sometimes drew passionate opposition from southern politicians who saw it as a means to weaken slavery to the point where, down the road a few years, it would create enough de facto free states to force a general abolition on them. But, of course, Bell called the British abolitionists hypocrites too. They cared so much for freedom, until it came time to defend the slaveholding, slave trading Ottoman empire against the Russians in the Crimean War then raging. Bell neglected to mention that the Russians practiced slavery with great enthusiasm at the same time. They called it serfdom, but it had long ago taken on all the usual characteristics of slavery. So much for the general conscience of the civilized world, which some antislavery men proposed set slavery on a course for ruin. Even American abolitionists’ trans-Atlantic allies found it in themselves to approve of the Sultan’s slaving ways. I now approach the consideration of another provision int his bill, which, in the opinion of many, possesses an importance paramount to all others; one that is held to be so important to the welfare of the country, and especially to the South, that some of my southern friends have expressed the opinion, in our private and friendly conferences, that a southern man who should fail to support it would be considered a traitor to the interests of the South; and that, under such circumstances, I should waive all scruples about the violation of treaties or compacts of any kind -all my objections to the bill, however important I may deem them. I take no exception to the morality of this view of duty; for if it can be shown that the principle of non-intervention incorporated in this bill will produce the happy consequences which its more ardent supporters content it will, though it may be a nice question in casuistry, a Senator may well consider it one of those cases of overpowering necessity and interest to the country to which all constitutional and other scruples and objections should yield. If only it would work out, Bell could sign on. But popular sovereignty meant more agitation over slavery and the fact that one side or the other would prevail, making the other the loser bent on reversing that loss and preventing future reverses. Better to leave the matter untouched. Bell could have spoken for an entire generation of American politicians, but the nation had changed too much for the old settlements to hold. 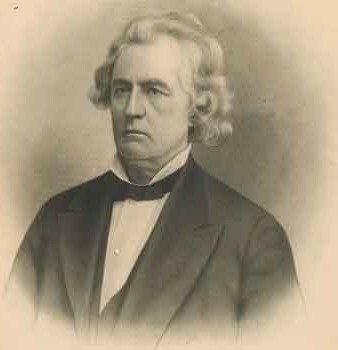 Speaking as he did on the eve of the Senate’s vote, he might have given one of the last true speeches of the antebellum era. Or, knowing how the vote would go, he might have only written its elegy. 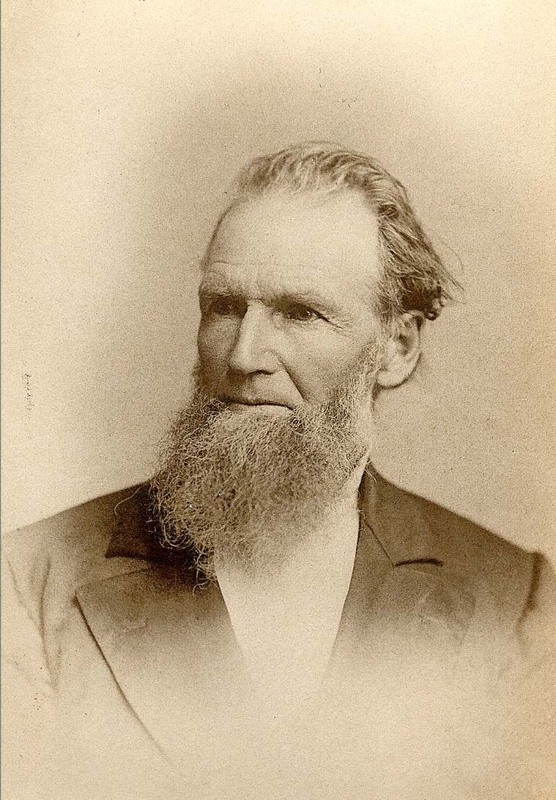 Several honorable Senators have spoken strongly and eloquently of the duty of observing sacredly and inviolably all the obligations attaching to a certain compact, or understanding, entered into many years ago between the two great sections of the Union; and some of them, in their appeals to the people upon the subject, denounce any violation of that understanding as dishonorable. Yet when it is proposed to violate the public faith plighted to the feeble Indian tribes on the frontier, not a word is interposed to save the honor of the country. We hear no appeal appeal to the sympathy or the justice of the country on their behalf. While the Senate Chamber rings with stirring appeals upon the subject of the wrongs of the African, the wrongs of the Indian are passed by in silence! No memorials are presented in his behalf. Yet, are not these Indians, men? Are they not our brethren, of the human race, like the African? Are they not born with the same equality of rights -inalienable as those of the African or the white man? Bell had a point. The Appeal focused on the evil of giving land that rightly belonged to white men over to slaves and their masters. Depriving Indians did not enter into it. But then one would not hear John Bell go on about the relief of his African slaves either. Depriving Indians did not enter into that either. When it came to his own property and his own institutions, Bell found plenty of room for distinction. He means to call free soilers and antislavery men hypocrites, not to set a standard for his own behavior. If pressed, he could probably give any number of reasons why black Americans deserved and even benefited from slavery and like reasons why it did not suit American Indians. The situations look similar to us and touch on many of the same issues, but we should resist the temptation to view them as identical. Both involve great injustice sanctified by the racism of the time. Both involve many atrocities, large and small. Both contributed powerfully to the development of the United States. Both forced population transfer and slavery look to us like the acts of one of the great twentieth century touchstones of evil: Nazi Germany and Stalin’s Soviet Union. But not all crimes against humanity are the same, even if they all horrify us. Population transfer, or ethnic cleansing to give it the name popular when I attended high school, involves a great deal of suffering and can certainly reach the level of attempted genocide. Bell himself saw that, and welcomed it, as the eventual fate of the American Indian. But ethnic cleansing doesn’t usually involve slavery. Though white Americans did at times enslave Indians, either by name or in everything but name, they did not do so on the same scale as they did imported Africans. Nor did they engage in concerted, large-scale campaigns to wipe black Americans out or exile them to remote corners of the continent where they could die quietly. The colonization movement tried to exile them back to Africa, a continent they saw as foreign as any white American did, but never became the dominant strategy for solving white America’s African problem. The two situations overlap, and involve many horrors of similar gravity, but do also substantively differ. In saying that, one invites the question of which party had it worse? Who wins the Oppression Olympics and thus deserves the fullest attention of our conscience. I have thought so myself. Separation does imply morally meaningful distinctions. One might call separate inherently unequal, following the logic of Brown. But on further consideration, understanding the past requires us to accept these distinctions where they existed. White Americans treated black Americans and American Indians very differently even if it treated both very horribly. We should not let our understandable and, I think, laudable desire to condemn both to blind us to the facts. After reassuring Stephen Douglas that he meant no offense in speculating about the Little Giant’s big dreams, Tennessee’s John Bell set himself on the real issue at stake. He might care about not giving the United States a reputation for breaking treaties, about not giving away all the public land in the nation, and about not opening new land for settlement before the land already opened to whites had filled up. They all seem like reasonable concerns for a man of his time and persuasion. Sam Houston (parts 1, 2, 3, 4, 5, 6) shared most of them just as credibly. But like Houston, Bell ultimately came around to the elephant in the corner: repealing the Missouri Compromise. Bell started by regretting that he had to. He avoided the topic last session, when Douglas tried to hurry through a repeal-free Nebraska bill at the eleventh hour. Now another eleventh hour had come, just a year later, and John Bell would stay silent no longer. He never wanted to reopen discussion of slavery in the west, but Salmon P. Chase had wrestled slavery back into the limelight. 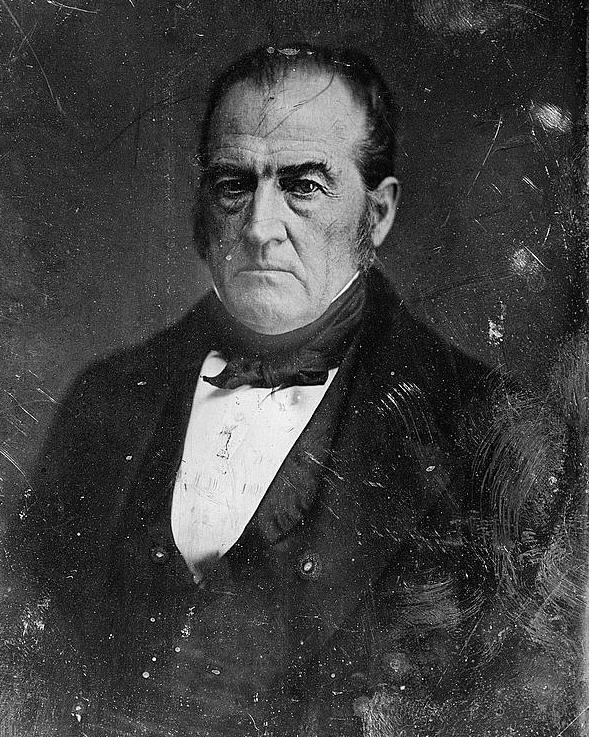 Indian removal, Bell told the Senate, succeeded in avoiding sectional tensions because it split the territory given away to Indians in perpetuity equally. The South lost land west of Arkansas that could have made a state or two. The North lost land west of Missouri that could have made a state or two. Since each section lost equal territory, pledged to slavery for the South and freedom for the North, neither side came off at a disadvantage. Any map will tell you that the South actually conceded more of the Louisiana Purchase land than the North did. Bell had to know that. But he had a point in that both sides had, in principle, surrendered land explicitly reserved for them. The curious fact that they gave up on it in the very act of reserving it to their sections didn’t change that and the notion fits neatly alongside the compromise’s actual goal of keeping the Senate equally divided between slave and free states. By opening up the Indian territory for white settlement, the question of whether the Missouri Compromise should stand naturally arose. It so happened, Bell told the Senate, that while all the land given up by North and South alike belonged to the Indians forever, Indians had mostly come to the section of it west of Arkansas, essentially modern Oklahoma minus the panhandle. 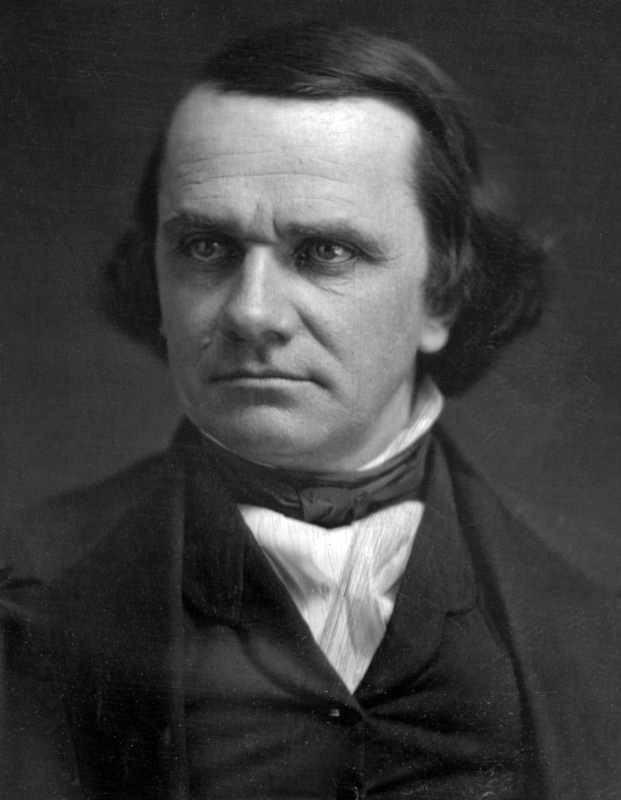 Stephen Douglas’ bill did not propose to organize that territory. Bell could concede that oversight, since so many Indians did live there. Nobody forced them to settle there instead of further north. It just happened. So what should the Senate do with the less-settled northern reaches of the Indian country if it would not leave that land to the Indians? if this territory is not to remain Indian territory, equal justice to the South would seem to require that such guarantees should be voluntarily conceded by the North as would secure to the South the formation of a slave State, should the country turn out to be adapted to slave labor, as an equivalent for the loss of one south of the line of the Missouri compromise. And if the experiment should show that the country presented no adequate inducement to the introduction of slave labor, and it should become a free State, then the South could not complain if the North should profit by those circumstances which now seem to demand that the territory should change its destination, and become the possession and abode of the white instead of the red man. In other words, the Senate should replace the Missouri Compromise with nothing less than the Missouri Compromise all over again, but moving the compromise line northward. Maybe it would run from Missouri’s northern border this time around. As a compromise, that had some potential. It fit with the historical norms. It would not give over all the white North’s future lands to slavery. Maybe in other times it could have worked, but Dixon, Phillips, and F Street had offered the South the whole loaf. Bell’s eleventh hour concession prize might have kept the North from the outrage that ensued and passed with fewer fireworks, but it came too late for any of that. Or it might have come still to naught, as Bell left open the chance for a state given over to the South to turn free if its residents wanted. Exactly that did happen in the end, if not quite the way Bell intended. 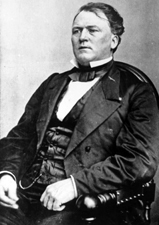 John Bell, the Tennessee Whig, laid into Stephen Douglas for his unorthodox and precipitous bill to open the Great Plains for settlement. It would give away all the public domain and so close the book on the frontier for future generations. It came in advance of any real settlement, instead of in recognition of that settlement. It came while ample and good land existed in the states bordering on the Indian country. It would break the nation’s word to the Indians that they could have the land forever. Other countries could even look at the United States and take note of how scrupulously it abided by its treaty obligations from this example. All of that amounted to a lot of questioning Douglas’ motivation and Bell wondered what grand plan Douglas had in mind, besides the obvious fast train to the White House. To Douglas, that must have sounded a great deal like when Salmon P. Chase called him an accomplished architect of ruin. That a southerner like Bell went on to talk about how Douglas would inflame the North against the South by giving its future up to slavery. And even if everything worked, Bell did not think slavery would take root. He tempted southern senators with an empty repeal for a needless cause that would bring at best a Pyrrhic victory. The Little Giant rose to object, denying that he had any secret plans. If Bell wanted to accuse him of something, the Tennessee Whig should come out and say it. was pledging myself to the honorable Senator, that if he would give me any sufficient explanation or exposition of the points of objection I have taken as to the vast extent of this country which he proposes to embrace in the new Territories -the departure he purposes from the long-established and guarded policy of the Government in the interposition of some barrier to the intrusion of the white man, and the formation of detached settlements in a country occupied by wild and savage Indian tribes, far beyond the regularly advanced line of frontier settlements; and throwing open at once unnecessarily the whole public domain- I will go with him in the accomplishment of his great schemes. Bell had a bit of cheek to call the forced removal of Indian tribes from east of the Mississippi some kind of force of nature. He wrote the bill that required them to vacate the Southeast. We would say that today and might call it unfair to judge him by our standards. Bell could certainly believe that his bill just ratified natural processes already underway. But he rose to speak against another bill in the same vein of his own, except far less radical. If the honorable Senator will indulge me, and not think it offensive, I must say here, because it occurs to me, that I think for a long time he has had a passion, amounting to a sort of mania, for the organization of new Territories, and the founding of new States. Sir, to my certain knowledge, the honorable Senator drew up the Utah and New Mexico bills, and almost in the very terms in which they finally passed into laws. I believe he is also entitled to the credit of having originated the bills for the establishment of the Territories of Oregon, Minnesota, and Washington. It seems, from present indications, that it will not be long before he will have succeeded in organizing three or four more. Not content with the fame which may attach to him as the conditor imperii […] he is emulous of the title of clarissimus conditor imperiorum. It seems to me that whatever other rewards he may receive from his countrymen, if they should imitate the policy of the ancient Greeks and Romans in bestowing honorary crowns on citizens who distinguish themselves in the service of their country, the honorable Senator will be entitled, not to one, but to ten civic crowns! I hope the honorable Senator will not be offended at anything I have said on this. The Latin translates to “founder of the empire” and “most famous founder of the empire,” I think. Douglas assured Bell that he caused no offense, to the Senate’s laughter. Amid all the flattery the Tennessean had grasped a bit of truth. 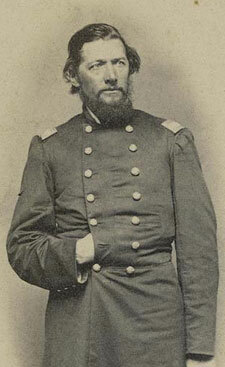 Douglas saw himself as a great man on the make, a common enough affliction among politicians, and must have expected that the storm his Missouri Compromise repeal would bring would blow over and leave him the conquering hero of white America, who opened the West and saved the Union. Surely that man deserved to move into the White House. Once Tennessee’s John Bell started challenging Stephen Douglas, he got on a roll. Where did Douglas find the white Americans desperate for the new land? Why did they not settle available land already organized? What so lit Douglas on fire that he would put forward such radical, sweeping legislation to give away all of white America’s future in one sudden rush? Bell asked the questions with the usual rhetorical flourishes, but they amounted to more than a show for his Senate peers. If nothing else, they served to demonstrate to his Tennessee supporters that Bell had sober, considered reasons for opposing the South’s new favorite bill. I know that he does not act without motives or a purpose, and as he has given us no expositions of his views upon this point, I trust he will indulge me in conjecturing what they may be. That I mean nothing offensive or unkind to the honorable Senator he will understand, when I say that, upon a full consideration of his policy as shadowed forth in this bill, taking it altogether, I am at a loss which most to admire, the genius or the boldness of his conception. And I can tell honorable Senators around me, that when that Senator, shall be arraigned before the tribunal of the public in the Northwest, for his advocacy of any feature of this bill which may be obnoxious to them, and he shall come to unfold the grandeur of his plans, and the skill with which he managed to combine in their support both the North and the South, they will speak trumpet-tongued in his defense. It took a genius to pull this off, so absolutely sure of himself to risk so alienating the North by giving away its future to slavery. Douglas would win great fame for it, unite the nation, revitalize his ailing northern Democracy, and sail into the White House. Bell didn’t have to spell it all out. Every Senator sees a president when he or she looks in the mirror, then and now. I trust the honorable Senator understands me: but I will nevertheless say to him, that although by the offer of a principle, an abstraction -a dangerous temptation to southern Senators- which I fear will prove utterly barren- bearing neither fruit nor flower, he has drawn into the support of his plans the whole South and Southwest, yet, if he will give me but a reasonable answer to the objections I have taken to this provision of the bill, I will go with him in its support. Give him a reason, Stephen. Convince John Bell that he can vote for your bill without disaster ensuing. Slavery will not take off in Kansas or Nebraska. Douglas had said so himself. The way Bell phrases it speaks deeply to his, and other southern politicians’, predicament. 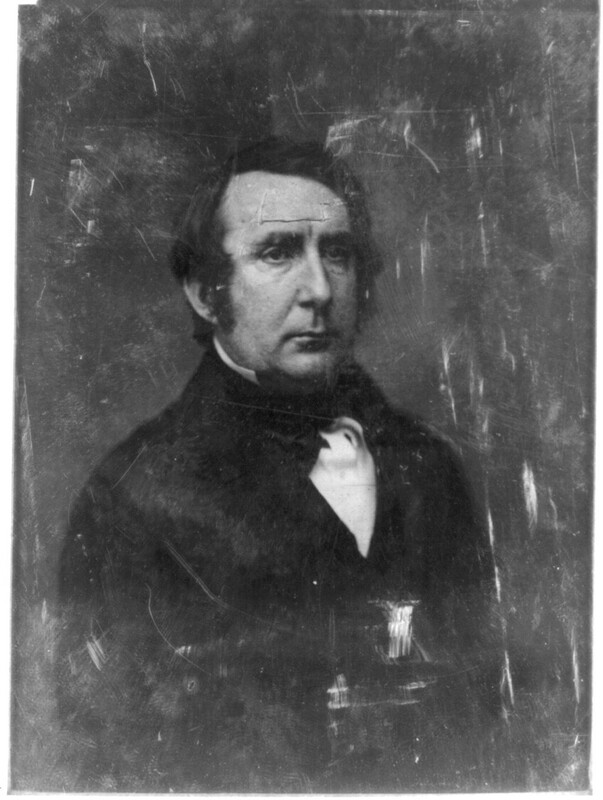 By dangling repeal of the Missouri Compromise out in front of them, Douglas offered a long-sought victory. It will thrill the radicals but enrage the North and set it further against the South for a hollow triumph. Archibald Dixon and Phillip Phillips twisted Douglas’ arm to get the repeal into the bill and now that repeal twisted the arms of every southern senator. If they voted against it, they named themselves traitors to slavery and wrote their epitaphs. If they voted for it, yielding to the temptation, they brought the North down on them for their folly.